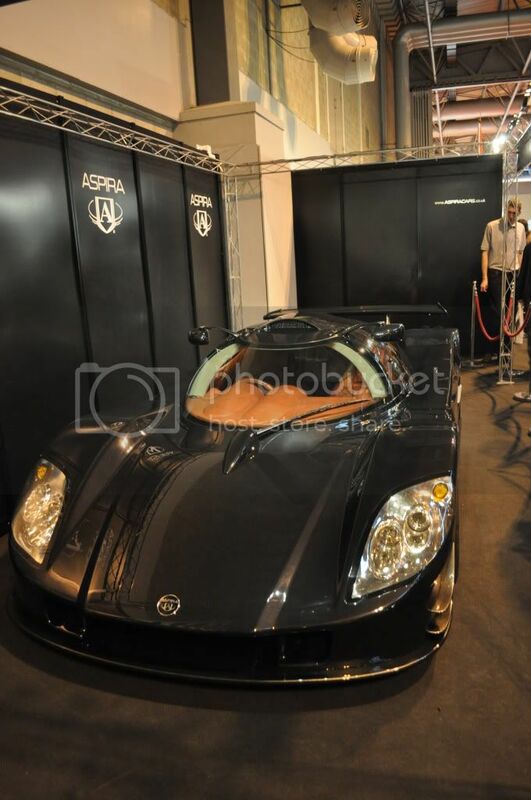 Aspira Cars gave its new Aspira F620 Supercar its world-debut, exclusively at the PistonHeads 2010 show. 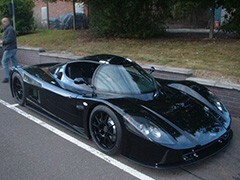 No more than 10 models of the exciting low-volume, hand-built car are expected to be produced in its first year. The Aspira F620 is a raw, unforgiving and uncompromising supercar that certainly doesn't blend into the background, and is any performance car fan's dream machine. With a multitude of options offered to the customer, each model is personalised to each customer's taste, making every F620 unique. Its standard 6-speed H pattern gearbox, mated to its V8, 538bhp 6.2-litre engine, can be upgraded to a 6-speed sequential or a 6-speed paddle shift transaxle creating an exhilarating driving experience. The car also boasts such creature comforts such as air-conditioning, traction/launch control, power steering, electric mirrors, video and sound system, and exclusive bespoke leather trim. Managing Director of Aspira Cars, Henry Nickless said, "It's been a real challenge to create something that is both extreme and usable within the ever-increasing compliancy issues. Our goal from the offset was to finish the car to a very high visual and mechanical specification where the end user will feel comfortable and confident. We hope customers will appreciate the balance between the out-and-out rawness of the car and the usability and creature comforts provided." Looks to be built off the RCR SL-C chassis. I like this design better though. Seems they used difusers on the back to produce downforce and the SL-C uses a big wing. But unless you look very closely they are just about identical. 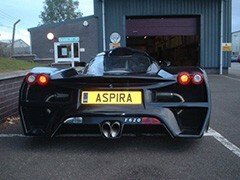 the Aspira does have a wing also - just not shown on the pics - nothing like the SL-C though. 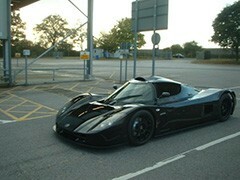 Has anyone got a picture of the show car at the PH Show ? The Aspira F620 was not at the show today. They had got a stand which was unstaffed and empty apart from a sign on the wall saying the car will be arriving on Saturday. Bit of a clanger missing press day if you ask me but hey ho.